A large number of businesses employing drivers using company vehicles are now taking advantage of professional training and assessment to improve the skills and safety of their staff. 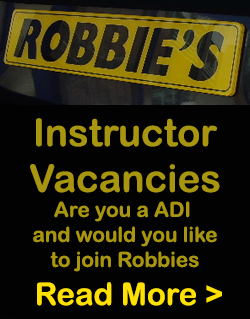 Robbie’s Driving School can provide you with fully qualified DSA approved fleet trainers. Insurance companies and health and safety regulators are now encouraging businesses to have regular checks on their drivers and we can provide you with everything you need to satisfy any legal or safety requirements in this field. We can provide you with professional documentation and/or certificates to prove this work has been done and we can offer this on an ongoing basis with annual checks if required. Many specialist companies provide you with vast quantities of jargon and doom-laden warnings about the consequences of failure to keep up to date with fleet driver training. 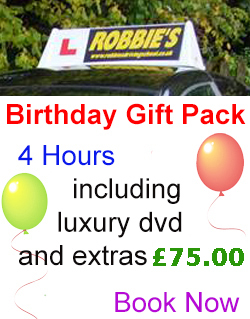 This is not the policy of Robbie’s Driving School fleet driver trainers. We aim to give you a simple uncomplicated service providing exactly what you require at a sensible price. 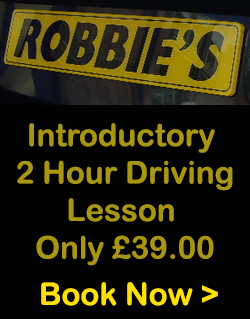 Robbie’s Driving School is the largest school of motoring in Bristol with a reputation for quality and service. Please visit our rates page for a guide to current pricing. If you have any enquiries with regard to fleet driver training please fill out our online form and a representative will contact you as soon as possible.